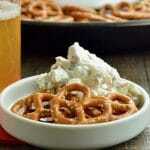 Classic Dried Beef Pickle dip is a recipe classic. A twist on the beef rollups with pickle dip you can make this up in 10 minutes and have it ready for Game day or a snack to serve during game nights! 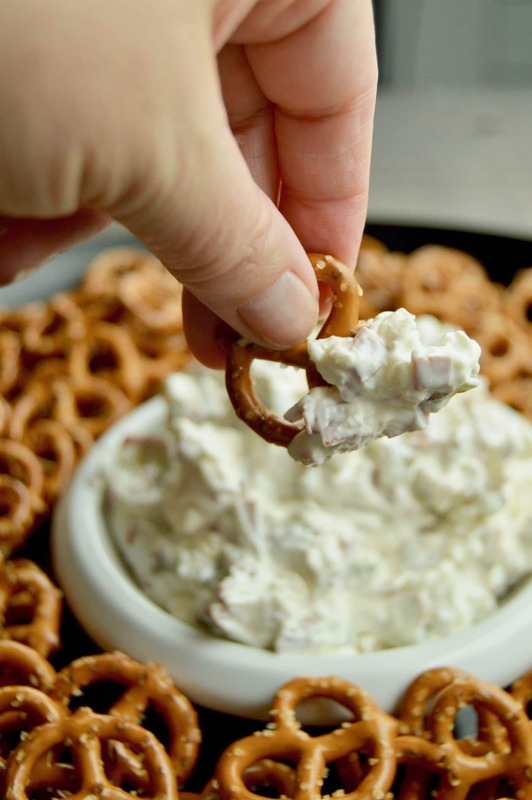 We make this as a last minute snack if people are coming over after work or a long day watching my niece at some event. The advantage of this dip is that I usually have everything in the house to make it so I don’t have to plan ahead much. I will warn you though, its kind of addictive. We had one batch for Friday night cocktails and it was gone so quickly I had to whip up another one before the night was over. Again, the advantage that the things to make it are pretty much in stock in my kitchen is a big bonus! 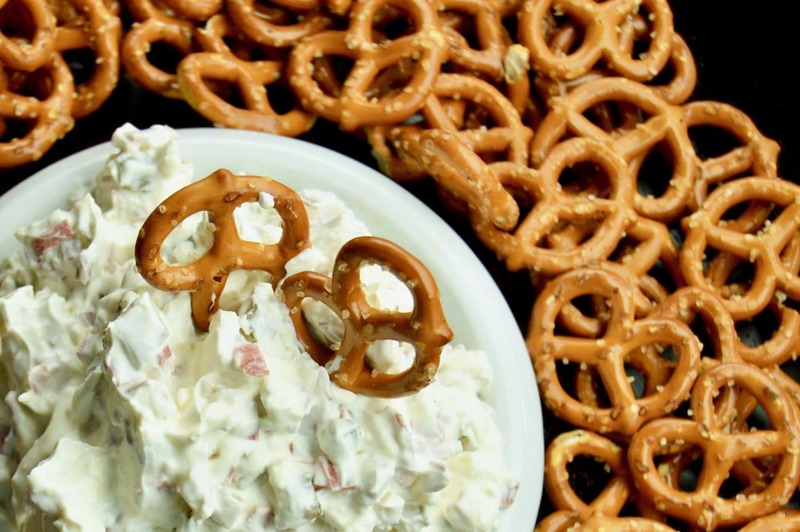 Looking for other last minute appetizers to serve? Check out my recipes for Artichoke Feta Dip, Tomato burrata salad or this Cheesy Crab dip from my friend Kathy at Lemon Blossoms Blog! You can use a mixer or blend this by hand. Either way works. In the base of a bowl place all ingredients and mix until well combined. Serve with chips, pretzels, or slices of bread. Dip will store for up to a week if you have any left, although you will have to stir before serving. The pickles sweat some of their liquid requiring you to stir it back into the dip. You can make this ahead of time, the flavors meld better if they have time. « Game Day Food: Meatballs Roundup! can you tell me what is dry beef? is it Jerky? Weird is right, but it somehow works great! So I went to the store to get supplies to make this for my family this week and wanted to double check to see if the amount of dried beef is correct – is it really 9 ounces? That seems like a TON (it’s 2 of the LARGE jars from the store) so I wanted to check before making it. Looking forward to this one! No problem!! I thought it may be a biiiiit much haha! The good news is that I bought 2 jars for my brother & SIL (I’m cooking for them for the week since they have a newborn at home), so they’ll be able to make another batch after I leave! I’m making this today – soooo stoked to try it! 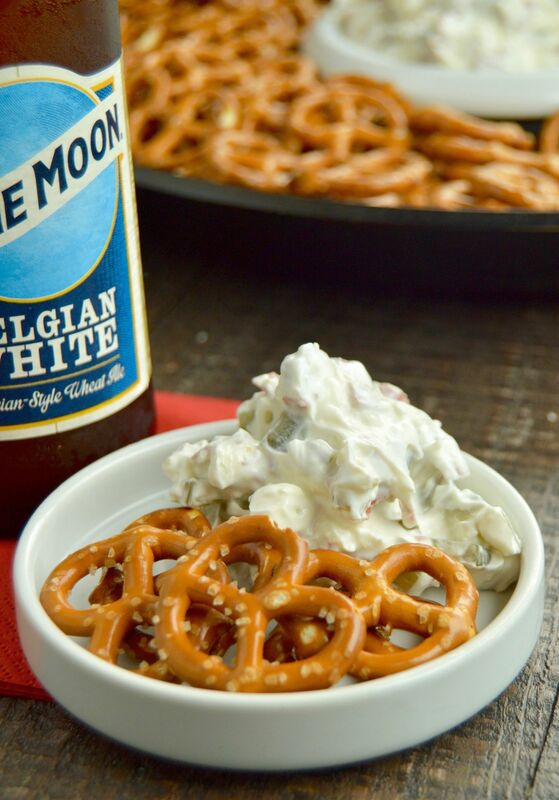 I love everything about this dip! I grew up eating dried beef on toast and the idea of it as a dip sounds amazing. I always thought when I grew up I was going to buy it so I could have the whole package to myself. Haven’t done that yet! O.M.G. this sounds SO good! My mom used to make a chipped beef dip and I absolutely love pickles… what a perfect flavor combo! I can’t wait to try this one out! I am so intrigued! I have never had this dip yet I cannot stop thinking about it!. Sounds delicious! Pinned and making it soon!! !